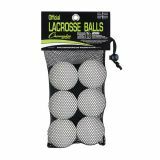 The Champion Sports Lacrosse Bag conveniently stores and transports up to 75 lacrosse balls with ease. 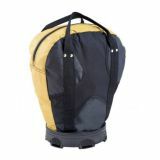 This heavy-duty bag has a plastic base to keep the bag upright, and keeps the contents dry and free from moisture. 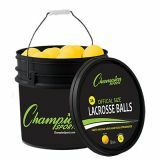 Now you can take your practice games to the next level with the Champion Sports Official Lacrosse Ball Bucket. Each bucket contains 36 rubber official size White lacrosse balls. 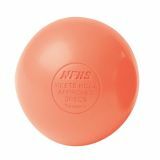 Designed to meet NOCSAE®, NCAA, SEI and NFHS standards, these molded rubber official size and weight lacrosse balls are a perfect addition for your practice needs. Now you can take your practice games to the next level with the Champion Sports Official Lacrosse Ball Bucket. Each bucket contains 36 rubber official size yellow lacrosse balls. Designed to meet NOCSAE, NCAA, SEI and NFHS standards, these molded rubber official size and weight lacrosse balls are a perfect addition for your practice needs. 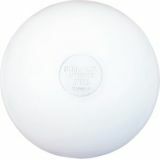 Designed to meet NCAA and NFHS specifications, these molded rubber official size and weight lacrosse balls come in a variety of colors to meet your practice and game play needs. 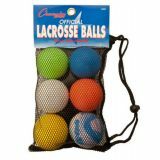 This set of six balls is packed in a reusable mesh bag. Now you can take your practice games to the next level with the Champion Sports Official Lacrosse Ball Set. Each set contains 3 rubber official size White lacrosse balls. 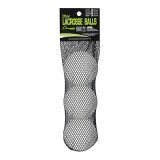 Designed to meet NOCSAE, NCAA, SEI and NFHS standards, these molded rubber official size and weight lacrosse balls are a perfect addition for your practice needs. Now you can take your practice games to the next level with the Champion Sports Official Lacrosse Ball Set. 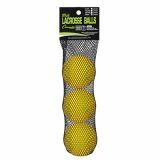 Each set contains 3 rubber official size Yellow lacrosse balls. Designed to meet NOCSAE, NCAA, SEI and NFHS standards, these molded rubber official size and weight lacrosse balls are a perfect addition for your practice needs. 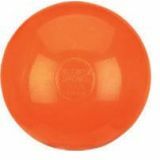 The Champion Sports Low Bounce Lacrosse Ball is a great practice and training ball that is great for indoor and individual practice. 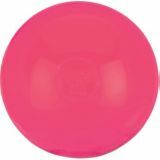 This low bounce rubber lacrosse ball also meets NCAA specifications. Now you can take your practice games to the next level with the Champion Sports Official Lacrosse Ball Set. Each set contains 6 rubber official size White lacrosse balls. Designed to meet NOCSAE, NCAA, SEI and NFHS standards, these molded rubber official size and weight lacrosse balls are a perfect addition for your practice needs. Now you can take your practice games to the next level with the Champion Sports Official Lacrosse Ball Set. 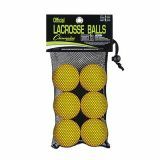 Each set contains 6 rubber official size Yellow lacrosse balls. Designed to meet NOCSAE, NCAA, SEI and NFHS standards, these molded rubber official size and weight lacrosse balls are a perfect addition for your practice needs.